It’s too easy to use the word ‘impressive’ to describe some of the new releases hitting the App Store lately; the word is starting to lose meaning and isn’t that useful to start with. We’re talking about games running on a mobile phone – all they have to do is be even semi-playable and they end up way ahead of expectations. 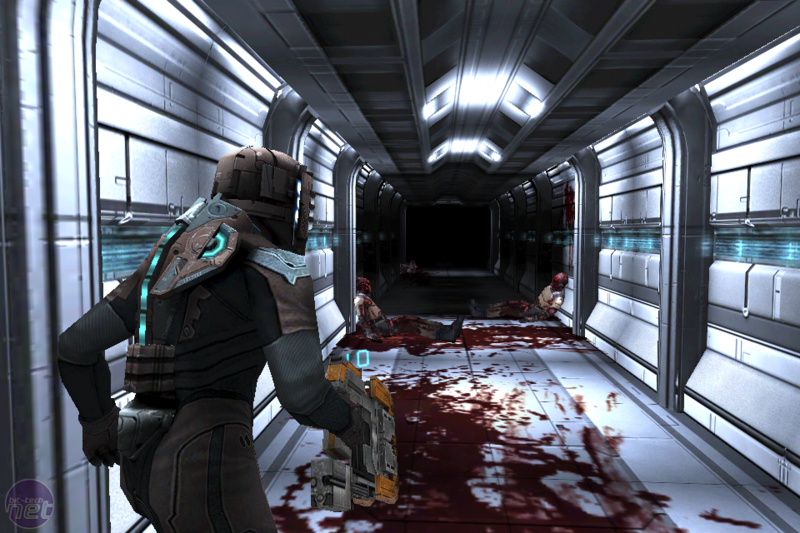 Dead Space for the iPhone, however, looks very impressive. The kudos here doesn’t stem just from the graphical detail that’s been ploughed into the game though, but more from the depth of the gameplay. 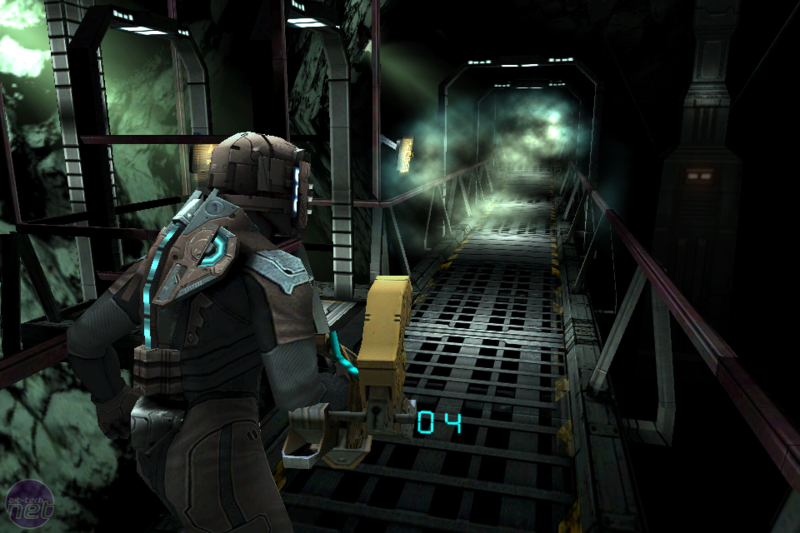 Dead Space on the iPhone is essentially that – Dead Space for the iPhone, feature complete. It has the same third person perspective, the same sprawling and haunting levels and the same focus on dismembering enemies. Lopping limbs off with your array of mining tools and scavenged weapons is a little bit trickier on a touch screen than on consoles or PC, but it’s still manageable and fun. Dead Space’s first level didn’t leave a great impression, however. Once more cast as engineer Issac Clarke, the preview opened with a glorified mine cart sequence, with us trying to stop Necromorphs from swarming us. There was only a limited amount of movement and the entire thing felt very ‘on rails’, thus negating the glory of the graphics. It was all too easy to yawn through the battles and assume that the entire game would be made of similar sequences. After the shaky start, however, things quickly improved. The next level drops Isaac into a familiar-looking space station lobby and lets him roam freely. Workbenches and vending machines offer the chance to upgrade weapons and armour, build new weapons and buy extra ammo, just like in the original game. Even the holographic displays that wowed us so much in the original, PC release make a return too and, while we didn’t get a chance to see them first hand, the developers assured us that the zero-gravity sequences would make a return as well. What’s most amazing about all this, however, is that Dead Space brings all this variety across to the iPhone without losing any of the accessibility. The controls in Dead Space are, with only a few minor exceptions (shooting the special Kinesis power can take some getting used to), so fluid and easy to use that they put other shooters on the iPhone to shame. Our only concern, in fact, is whether or not the idea of playing Dead Space on our mobile phones is one we’ll actually find all that attractive in real life, as lengthy singleplayer games aren’t an easy fit with the platform. This isn’t the type of thing we can imagine ourselves dropping in to and playing for the 10 minutes it takes for the bus to turn up. Then again, if this iPhone version – which will apparently help bridge the gap between the original Dead Space and the sequel due in early 2011 – manages to be as gripping as the first game, then we might make an exception.